An English notary public may be described as a specialist lawyer whose main business is to verify the proper execution of English documentation going abroad and, where necessary, to issue an appropriate certificate. 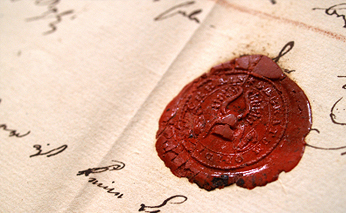 That certificate, or in some cases the original document itself, will be signed by the notary and he will also attach a notarial seal of office which is personal to the notary and totally unique. This is a formal procedure, and necessarily so, for what the notary says and certifies will be relied upon throughout the world. An English notary public is a member of the smallest but oldest branch of the legal profession and is appointed by the profession’s own Court which is at Westminster. Previously the notarial profession was divided with certain types of notaries (called scrivener notaries) only allowed to do business in the Cities of London and Westminster. However, this division has now been abolished and a notary public (also sometimes called a general notary) can now carry out his business throughout England and Wales including throughout the whole of London. Most notaries are also solicitors as is the firm of Kuddus Solicitors. The primary work of a notary public is to prepare documents; to formally witness the execution of documents; to authenticate the contents of documents and to administer oaths and declarations. By this process the notary attempts to make the document acceptable to, and therefore receivable by, foreign jurisdictions. By signing and sealing a document, a notary public verifies the authenticity of the facts set out in that document and, apart from legalisation at either The Foreign and Commonwealth Office or at a foreign embassy or consulate, no other formal requirements will be needed by the foreign jurisdiction in which the document is required. Notaries also have special jurisdiction in relation to the Protest of Bills of Exchange and Protests arising from the ownership and use of ships and shipping generally. All sorts of other specialist work is also carried out as and when required. 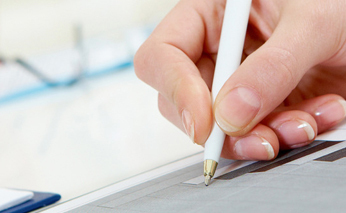 Our notary public is also a senior solicitor and therefore is able to assist in the drafting of documents that may then require notarising should you require this additional service.